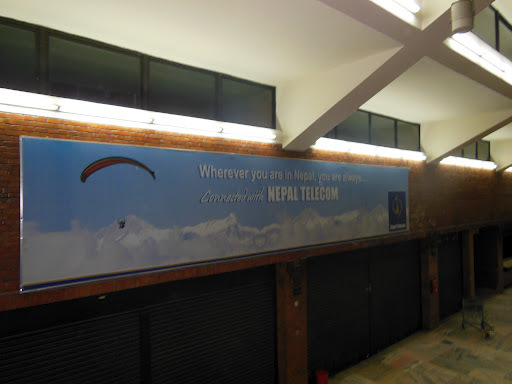 Having never been to a third world country I wasn’t sure what to expect in Kathmandu…but man o man were my eyes opened when I landed. From the get go, this has been an experience that I’ve never had before. Upon landing, I needed first to pay 100 to get my visa, followed by several layers of bag checks at customs. After I left the secured part of the airport, it was everyman for themselves, with taxi cab drivers throwing themselves at anybody who looked like they had money. As the awkward/naive person that I am, I clearly picked the most expensive driver possible…but thankfully made it to the hotel in one piece. I say that because the drive was unlike any drive I’ve ever been in, the streets were winding with pedestrians , motorbikes, and other cars everywhere. With no traffic signals it appears that everyone just engages in a sort of automobile free for all. After about thirty minutes of driving, I arrived at the Buddha Garden Inn. Much to my surprise, when I walked in they were expecting me, and called me by name. They also, called the manager at Kopila Valley, and I touched base with him. The hotel room was only 1000 rupees, or roughly $11 USD, so it wasn’t too surprising that when I walked into my room, I encountered a spider and some dirty sheets. Ha, those are the same dirty sheets I’m sitting on right now to write this blog! (I’m actually getting used to my little bedroom, which as you’ll note from my previous post is a stark contrast from my arrangements in Dubai) After setting into my little room, I went for an adventure out in the city…by the time I left my room though the sun had gone down, which lent itself to a short adventure. That is in large part due to a lack of lighting in public spaces, and my unfamiliarity to the area. I didn’t really feel like getting lost in Kathmandu on my first night in Nepal! Not too far from the hotel is the legendary “Fire and Ice” pizza. Which I treated myself too for my last dinner before heading off to Surkhet…the pizza was delicious, and just like the hotel was super cheap. 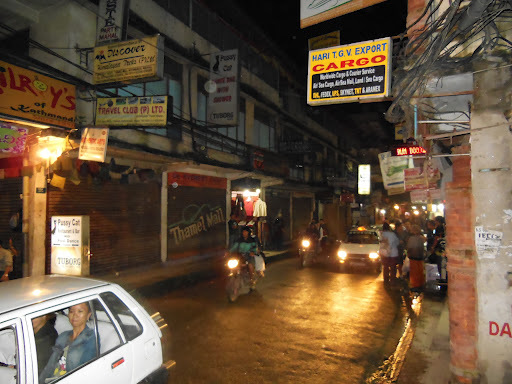 Following on dinner, I tool a little walk around Thamel (which from what I’ve gathered is the touristy part of the city). A combination of a million street peddlers, and a very American looking John lent itself to lots of propositions for everything from Carpets, to clothing, to access to clubs (“with dancing”). After walking around for a while, I decided to take a walk back to the hotel and call it a night for what will be a very exciting day tomorrow. My plane is leaving at 8am from Kathmandu and I will be flying to Nepalganj. From there I have a jeep picking me up for the final three hours of the trip over to Surkhet! Very excited, to get settled, for what will be an exciting several months. Not sure when the next moment will be to post again, but I will be sure to do it as soon as I can!